Tra Vinh (VNA) – As many as 200 enterprises and more than 194,000 locals in 22 rural communes of the Mekong Delta province of Tra Vinh have benefited from a Canadian-funded project to support small and medium-sized enterprises (SME) worth 12.1 million CAD (9.63 million USD). The project, which is scheduled to complete in 2020, has helped improve production and infrastructure as well ascreated jobs in the locality, heard a meeting between Canadian Ambassador to Vietnam Ping Kitnikone and leaders of Tra Vinh on August 23 to review the progress of the project. After two and a half years of implementation, the project has built four small-scaled infrastructure works worth over 8 billion VND in four trade villages, creating favourable transportation conditions for enterprises and over 2,000 locals. 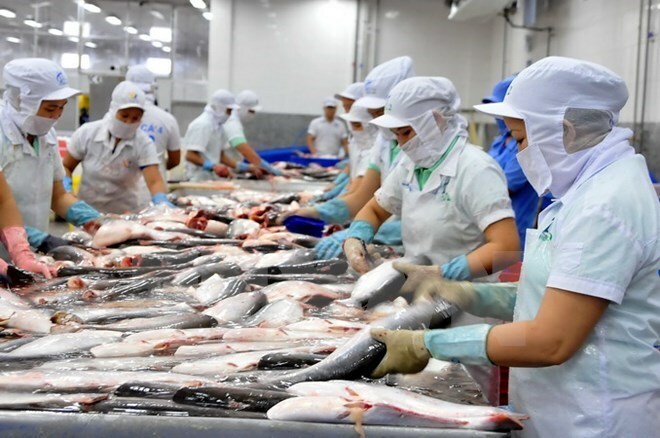 At the same time, the project also launched many activities to assist enterprises in enhancing the value chain of local products, while supporting cooperatives in abiding by the Cooperative Law 2012. However, Ambassador Ping Kitnikone pointed out that the project’s progress has been slow with many shortcomings. She held that Tra Vinh should give clear strategies with a strategic vision in supporting SMEs in the coming time, adding that support activities should be closely connected with each other. The diplomat also shared Canada’s experience in aiding SMEs. Chairman of the provincial People’s Committee Dong Van Lam thanked the Canadian Government for the support, which he said has contributed to creating a healthy investment environment and boosting the growth of local firms. Lam pledged to create optimal conditions for the implementation of the project in the future, ensuring its effectiveness. Earlier, Lam and Secretary of the provincial Party Committee Tran Tri Dungheld a reception for the Canadian ambassador, during which they thanked the Canadian side forsupporting the province.